We all know the factors that can threaten a positive classroom environment: stress from testing, lack of motivation, and problems that students bring from home, for a start. What if we could implement some simple practices to buffer against these factors' negative effects? The good news is that we can. 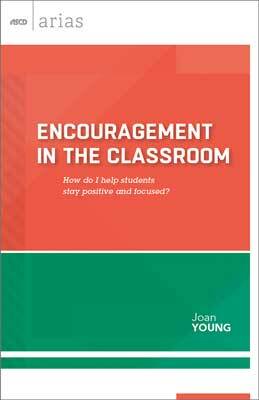 Encouragement in the Classroom explores the small yet high-impact changes that teachers can make to transform students' school experience every day. Drawing from positive psychology research, educator Joan Young explains how fostering humor, mindfulness, resilience, curiosity, and gratitude in the classroom empowers students to learn from their mistakes, celebrate successes, and actively engage in learning. Filled with examples, this publication offers practical, classroom-tested strategies, routines, and rituals that teachers can use immediately to defuse the negative effects of stress and create a stimulating and supportive classroom culture. JOAN YOUNG is a teacher and therapeutic coach with 10 years of teaching experience in elementary classrooms and 25 years of experience tutoring students of all ages. She specializes in working with students who need extra support in self-regulation and executive functioning skills. Her principle interests include the application of positive psychology to education, how resilience can help children who have experienced trauma and loss, mindfulness in schools, and teaching through multiple modalities. She is the author of 25 Super Sight Word Songs & Mini Books and the blog Finding Ways for All Kids to Flourish.